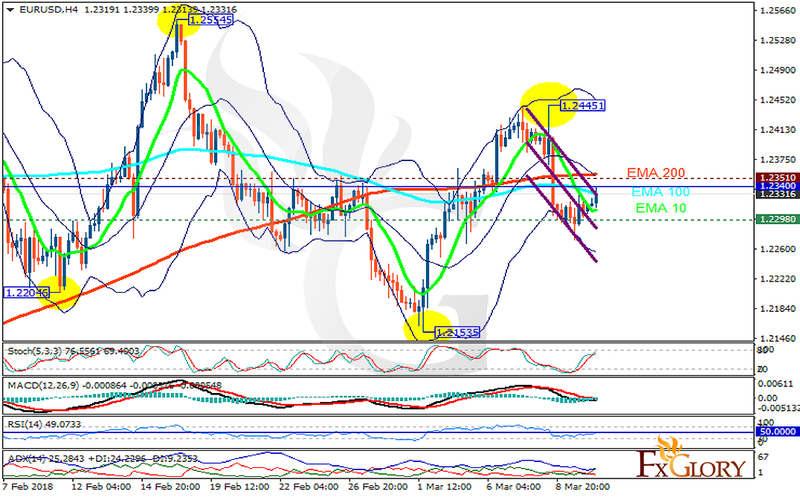 The incoming employment data supported USD and dragged the pair towards the support area of 1.22. The support rests at 1.22980 with resistance at 1.23510 which the weekly pivot point at 1.23400 is located in between the lines. The EMA of 10 is moving with bearish bias in the descendant channel and it is below the EMA of 200 and the EMA of 100. The RSI is moving below the 50 level, the Stochastic is showing upward momentum and the MACD line is below the signal line in the negative territory. The ADX is showing buy signal. While considering pullbacks on the way, buyers can target 1.25.